Deeply cut golden foliage. Pale yellow flowers. 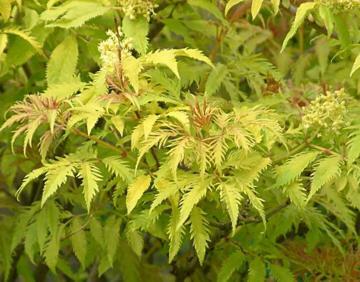 Foliage is susceptible to scorching in strong sunlight.